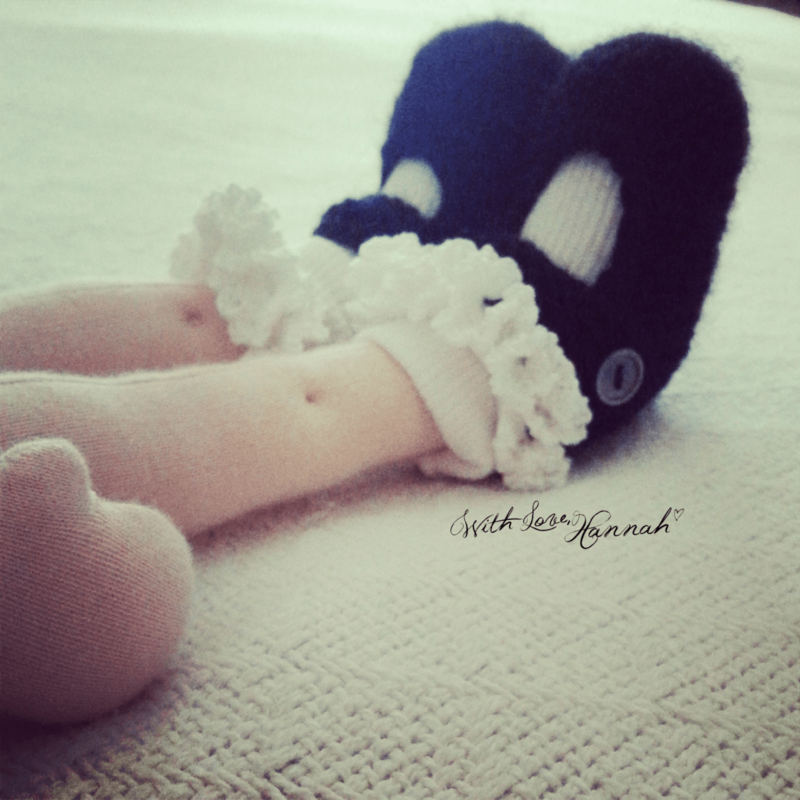 She is made with cotton fabric from the Netherlands and stuffed with pure wool. Her hair is a fiery red, made with brushed mohair. Her face is embroidered with cotton floss. 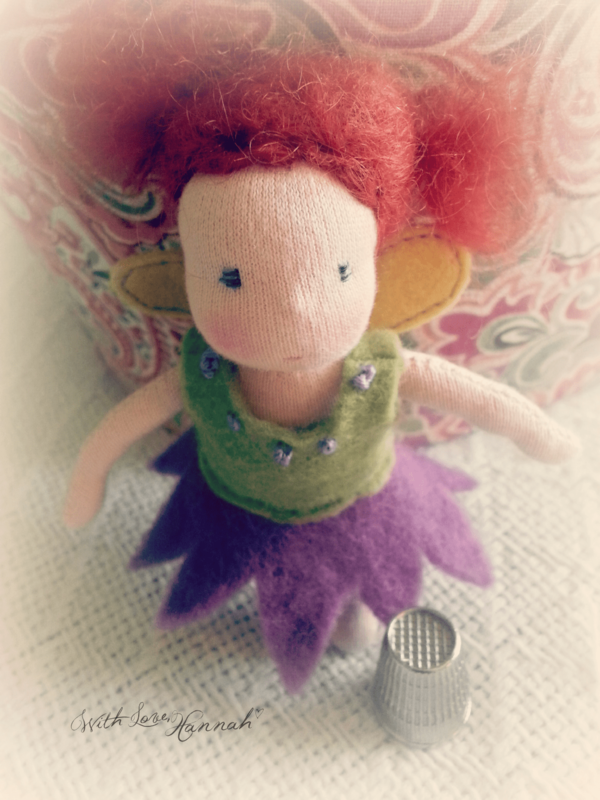 AnnaBelle’s fairy dress is made from wool felt, with embroidered flower buds embellishing the neck line. Her her fairy wings are also made from wool felt. The wings are attached to her dress. She wears teeny tiny purple cotton undies too. All of her clothing is removable. She’ll be available tonight, at 7pm EST, October 4, 2013 in The Waldorf Dollhouse. Recently, I completed a little girl named Linnea to join her friends in Dollectable. I sent her on her journey home today. 🙂 However, I wanted to share a bit of her with you. See more pics of Linnea here. Linnea is 15″/35.5cm girl, but she measures much larger if you include her heart. Her hair is pure, natural, undyed Merino wool that I handspun from one of my favorite fleeces. I’ve purchased the entire fleece from a little naughty ewe named, Diva, several years in a row, as I especially love her soft, dark chocolate wool. Linnea wears a dress made from 100% cotton fabric, with a wool belt with tiny wool felt coordinating flowers. It is inspired by late 1940’s fashion. 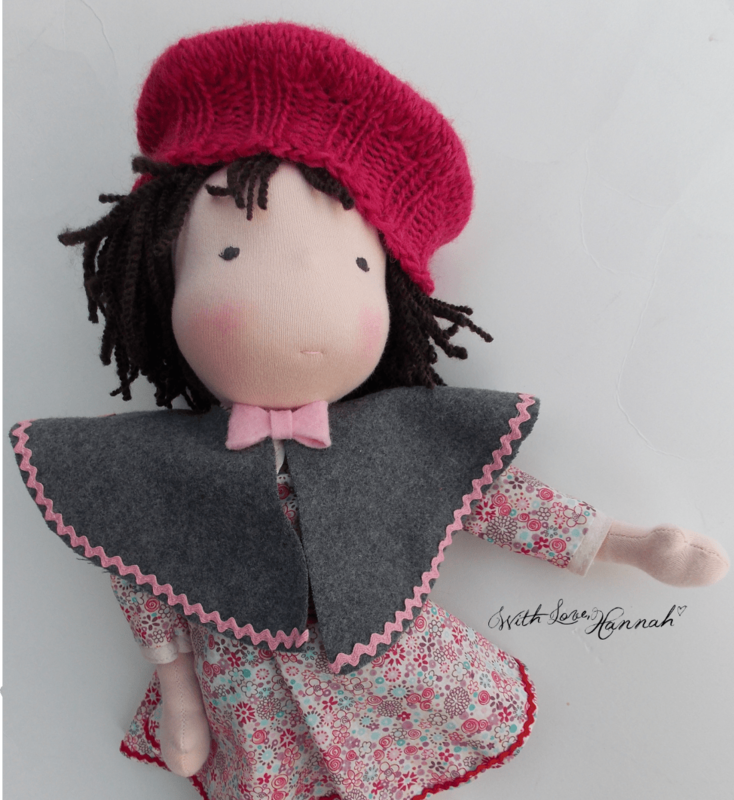 She loves her raspberry pink wool beret and grey wool capelet, made with up-cycled fulled fabric. Her socks are trimmed with cotton crocheted lace and her mary jane shoes are hand knit wool.